Michelle Davies | The Journal Gazette Will Jewelers on Maysville Road. A jewelry store on the city's northeast side was burglarized early this morning. Just after 5 a.m., an alarm went off at Will Jewelers, 10146 Maysville Road, a police report said. When Fort Wayne police officers arrived, they found the glass on the front door of the store had been broken. Inside the store, several glass display cases had been broken out with jewelry scattered or missing, the report said. 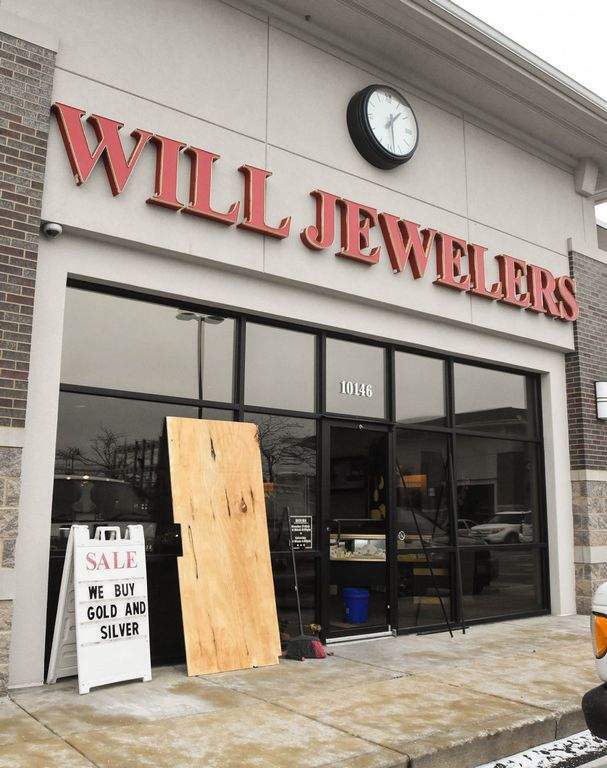 A representative for the store told officers that the items in the cases were "Will" watches, display wedding bands, silver men's necklaces and women's fashion jewelry. Even though the representative said there were several pieces of jewelry missing, it would take her some time to inventory exactly what was stolen.